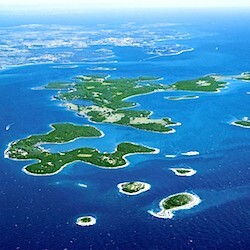 Brijuni National Park is a group of fourteen islands located west of Pula that are well worth visit for anyone visiting South Istria. Brijuni can be reached by shuttle boat from Fažana, a small village with long fishermen tradition, which is 18 km from Ližnjan. The boat ride is included in the entrance ticket to the National Park. It is recommended to book in advance the visit by calling the following numbers: +385 52 525883 or 525882. 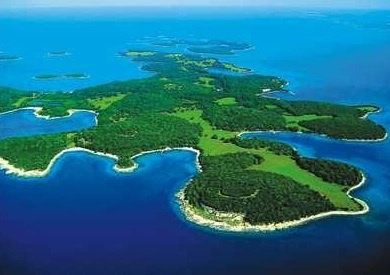 And to enjoy the islands from the sky you can book your panoramic fligh with Delicair. Here are some links to find out more about these islands of paradise.